I had heard the word Namaste and used it at the end of my yoga classes and just took for granted that it meant “thanks”. It does in a way mean that, but it means so much more. What it actually means is really quite beautiful, so I have decided to use it outside of yoga class. It is such a great way to honour others. Namaste means “I bow to the spirit in you”, I found one explanation that really spoke to me which was ‘the light (beauty, soul) in me recognizes and honours the light (beauty, soul) in you’. Beautiful, right? That is why I have chosen to use it more often! This whole realization came from a conversation with a coaching friend of mine, whose relationship has supported me in so many ways. We were having one of our in-depth conversations which was helping me see a new perspective and “thank you” just didn’t seem to be enough. 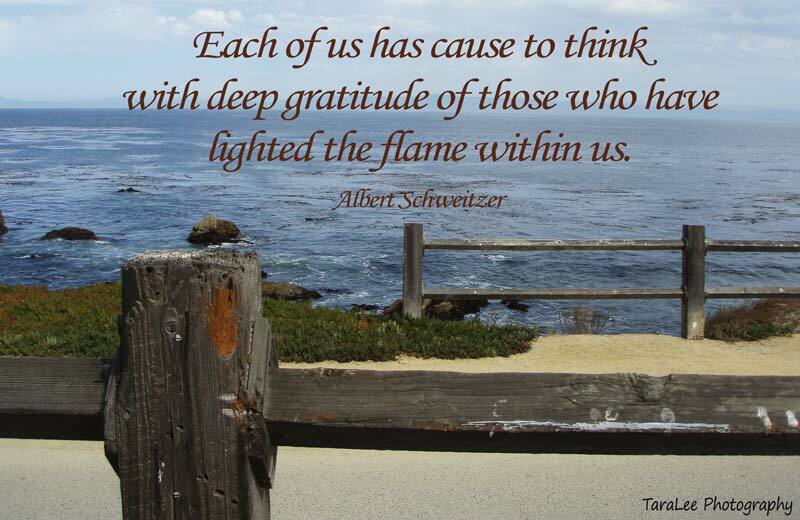 I so value her awareness and wisdom that it felt like “thank you” just didn’t even come close to reflect the gratitude and respect that I was feeling. It was at this point that I bowed and said “Namaste”. This lead to further discussion on how I wanted to start using that blessing in my everyday interactions more. And then I decided I would! At first it felt like I was being a bit of an imposter because, although I practice yoga, I am not a yogi, but the message “Namaste” speaks is so genuine and universal, I don’t think you even have to practice yoga to use it! 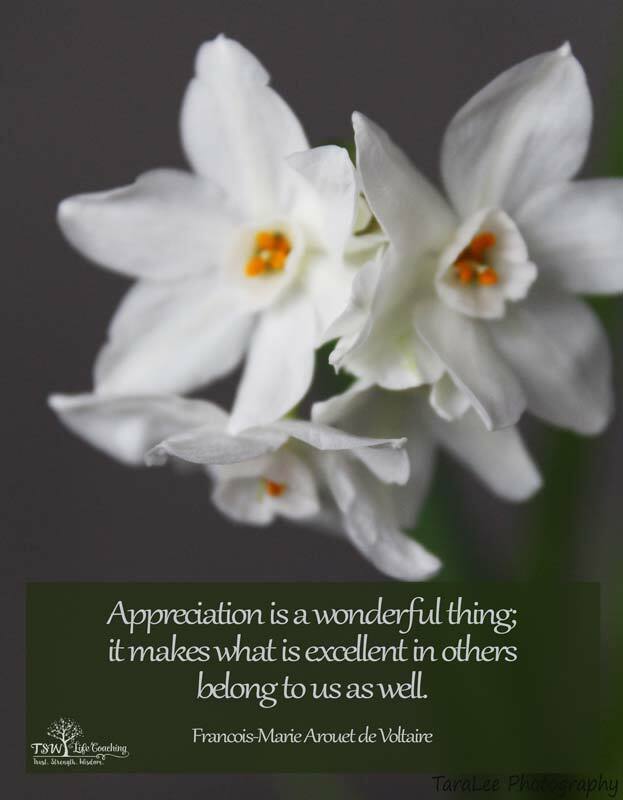 I am fortunate, (as I am sure you are) to meet and work with so many amazing people and this is the perfect way for me to show my gratitude and respect to them. Whether it be through a casual conversation, an in-depth client interaction or a good chat with friends or family – whatever the situation – I find that when I want to honour someone for showing up and being authentic, thanks just doesn’t cut it! Now, I have even found myself wanting to use it with people with whom I have less than desirable interactions with (maybe not all the time) but when I come across someone who is in a negative space and is taking that out on me, I still want to honour where they are at in their journey. So, I silently bow and send them the blessing. 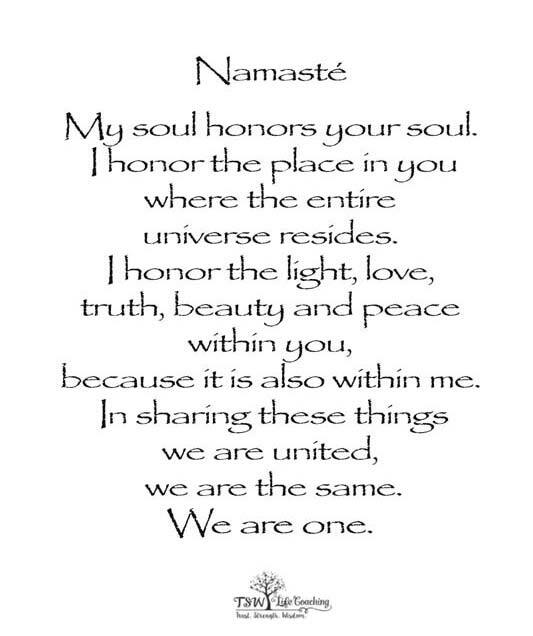 that when I do bow and say “Namaste” the energy that accompanies it is warm and wonderful for both me and them. Maybe it’s because I have this understanding of what it means, but I truly feel like in that moment I am honestly speaking to that person’s soul. Who they are, beyond their stories, challenges and present situations. The message goes so much deeper than all that mind chatter. For me, it is the perfect way to recognize and respect them for their authenticity, for who they truly are at their core. And really who doesn’t want to be recognized and honoured for their inner beauty and light?! Because I am encouraging you to give this a try. See the reaction you get! It may be a curious look or maybe even a negative response, but the thing is, I am sure you will personally feel the positivity and connection that this simple, yet powerful message and gesture carry with it. The next time you feel you really want to show someone your gratitude, respect and honour them, simply put the palms of your hands together bow your head and say ‘Namaste’. I am sure you will be pleasantly surprised at how it makes you feel. ← Is Your Workplace Toxic?